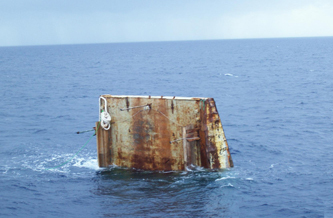 For the past 80 years Van Woerkom, Nobels & Ten Veen have been carrying out independent damage and nautical surveys for hull & machinery underwriters and the owners of vessels and marine contractors' equipment. The surveys are carried out worldwide, round the clock, always keeping the interests of our principals at the forefront. 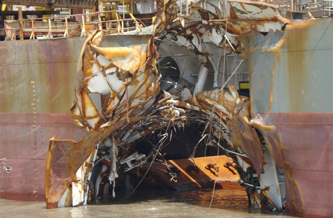 In recent years we have been involved in assessing some of the largest and most dramatic casualties in the maritime sector: from third party collisions to groundings, and from engine room and accommodation fires to machinery breakdowns. Our subsidiary - Expertiseburo Jos Ceelen - carries out damage surveys of land-based equipment such as large hydraulic/ lattice boom cranes, bulldozers, wheel loaders and associated equipment. WNV attends casualties to all kind of sea-going and inland vessels, such as hopper/cutter dredgers, jack-up barges and cable lay vessels, as well as wet/dry contractors' equipment, with a variety of hull and machinery damages. Our experience and knowledge of technical, insurance and legal matters allow us to respond decisively and recommend the necessary steps to be taken in any given situation. 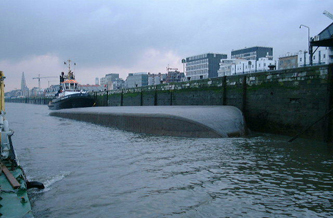 While engaged in marine related operations, third party liability or property damage can occur in the blink of an eye. WNV can provide third party liability surveys in order to protect owners' and underwriters' interests. WNV is highly experienced in assessing damage and analysing its root cause. We look at all kinds of land-based equipment, such as large hydraulic/ lattice boom cranes, bulldozers and wheel loaders, and associated equipment.